Vector dragon graphics. Mythological creatures vector footage. Hand drawn Asian dragons with swirling bodies and short legs. Big hears with open mouths on all the creatures. 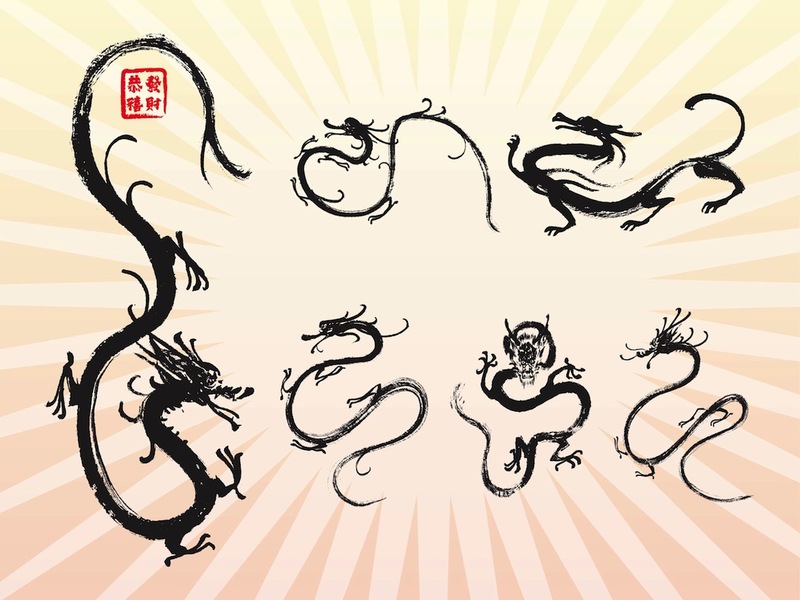 Authentic Asian dragon graphics to use in all your tattoos, stickers, decals, clothing prints and poster decorations design. Free vector mythological creatures. Tags: Asia, Fantasy, Hand Drawn, Magical, Mythological Creatures, Sketch, Tattoos.